This may sound like a negative and harsh view of the current state of affairs in Papua New Guinea but sometimes we all need a collective wakeup call. 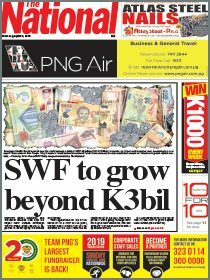 No doubt for some this maybe a tough spoonful of medicine to swallow but PNG is considered one of the most corrupt nations in the world today and sadly this is a fact we cannot escape from. We do not need a report or an international classification to tell use all is not well in PNG. We see it every day and most of us, whether we know it or not, participate, enable and encourage corruption, graft and theft and all manner of activities that contribute to the mismanagement, misuse and breakdown of services, goods and ultimately the society we like to call among other things, Christian and peace-loving. 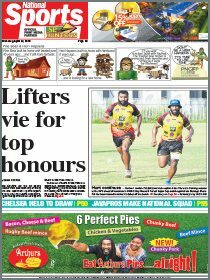 The proof that PNG is a corrupt nation with regards to development and the standard of living is laid out in our papers almost daily. If there isn’t a political leader facing questions on his conduct and use of tax payers’ money, there is a furore over the way the government is being run particularly in parliament. Government departments are no better. The instances of abuse of power by public servants are rife and continue unabated even though the country has courts and a police force to investigate and punish guilty individuals. But here is the reason why the country is mired in such a self-defeating cycle of stalled progress and “what ifs” and “what could have beens”. We as a people have a culture and an attitude that perpetuates corruption. The conditions are practically optimal for white collar crime. We have a police force that has proven inadequate, compounded by a correctional service that is in need of refitting – both in personnel and administrative capability, a court system which struggles to cope with a never ending procession of cases, but most importantly we have a government that cannot fund these institutions to the level required to act as a real deterrent to lawbreakers. And then we have the cultural aspect that enables corruption or morally questionable acts. Papua New Guineans tend to take care of their own. This is good, and this bad. It’s good because we have a sense of identity and belonging and it gives us pride in who we are but it is bad because more often than not this comes at the expense of the greater good – a concept which many in the country have yet to grasp. Nepotism, wantokism, cronism, all these terms describe the causes of corruption when cultural values are put ahead of morals and proper conduct. Whenever you are the beneficiary of money or good works do you ask yourself where the money actually came from or how was it that the giver could afford to dole out goodwill in the form of funding or projects. Not many people ask these questions and, in truth, not many people care to know. For the majority whose daily existence is a struggle it is better not to bite the hand the feeds or in this case question it. Money being diverted to unbudgeted or unplanned expenses by department heads at the behest of politicians is a common complaint across the board. Money put in the hands of MPs without strict accountability or in a transparent fashion only creates the possibility for abuse and misuse. Some might say that we are no different from any other country when it comes to the issue but where does it say we have to accept the situation and not do anything about it? The checks and balances are there however they are rendered impotent because of a lack of will to follow through on the part of agencies. Again coercion, intimidation and paying off the executioner to miss the stroke are reoccurring themes. Ask yourself this question: of the number of high profile cases of gross abuse of public money and outright theft and the disappearance of funds or the questionable to illegal use of the public purse by those in power how many people have actually been successfully charged and jailed? How many have paid the money back? White collar criminals have done more to disable this country and strip it of its ability to provide for all its children than any other law and order issue. The question now is what are you going to do about it? Are you satisfied with the fact that the public coffers are being raided regularly and little is being done about it? Only when good people chose to do nothing will evil prevail.